ON ERASMUS!! CELEBRATE THE 50th REUNION OF CLASSES OF '66 & 67' AND HONOR A 2017 EHHS GRADUATE!! BUY A TEE SHIRT, REMEMBER YOUR YEARS AT THE HALL AND HELP A 2017 GRAD... BUT YOU ONLY HAVE 30 DAYS TO DO IT!! All funds raised will go to Amy Krakow, the organizer for Cash stipends for 2017 graduates of each of the five EHHS school..
We loved EHHS! And there are kids at EHHS today who love it just as much as we did! 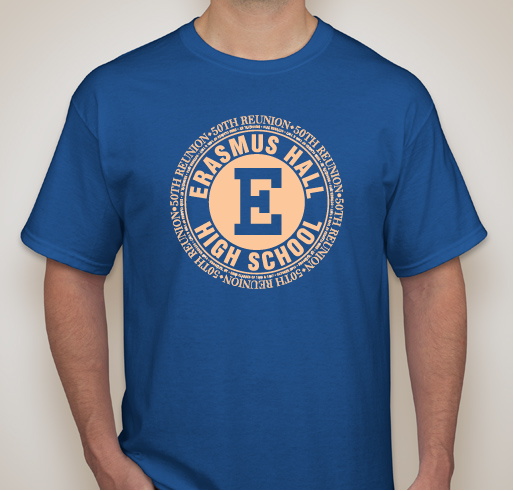 To show the seniors of EHHS today how much the school meant to us and our lives in the future, buying a tee shirt will raise money that will be used to present stipends to 2017 graduates that we select (along with the principals of the five schools). 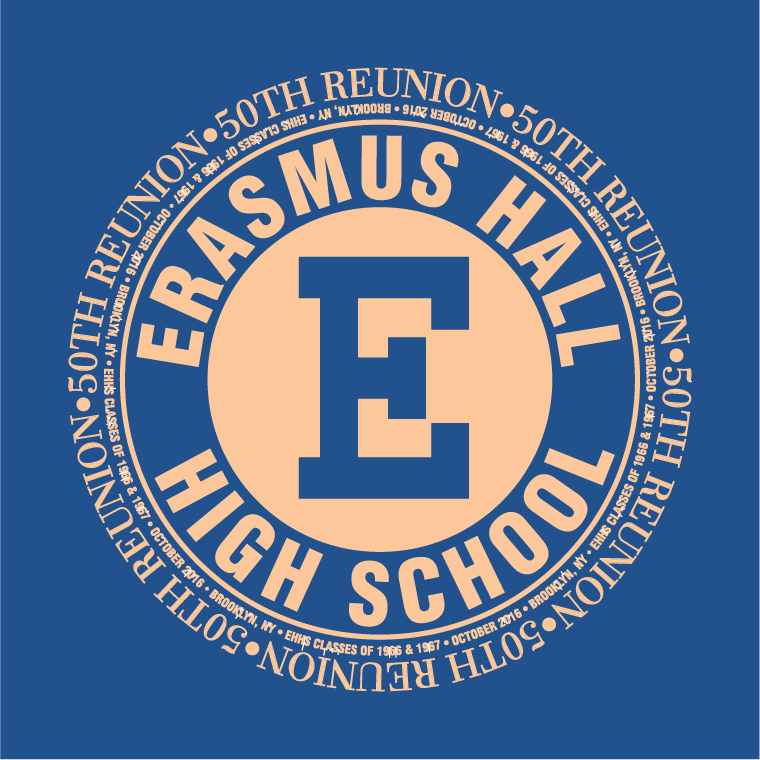 As the producer of the EHHS 1966-1967 Classes' 50th reunion, what better way to raise funds? You get the tee shirt, the mug, the umbrella, the 2017 graduates we chose to honor get a cash stipend. This is a real win-win! Doesn't matter if you're coming to the reunion or not! if you're a member of the class of '66 or '67 and you want to remember your days at the Hall, buy yourself and your friends a gift and wear your colors proudly! Once we sell enough of each product, we get the money to give to the kids! We have just 30 days to do it. Cool, huh? Fond memories and good cause. On Erasmus! Class of '67. Share Why You Support "ON ERASMUS!! CELEBRATE THE 50th REUNION OF CLASSES OF '66 & 67' AND HONOR A 2017 EHHS GRADUATE!!"